Fatal Disease Outbreak Among Miners Spurs House Hearings On Coal Mine Dust The review comes in response to an NPR and Frontline investigation that revealed the failure of government regulators to identify and prevent dangerous conditions. 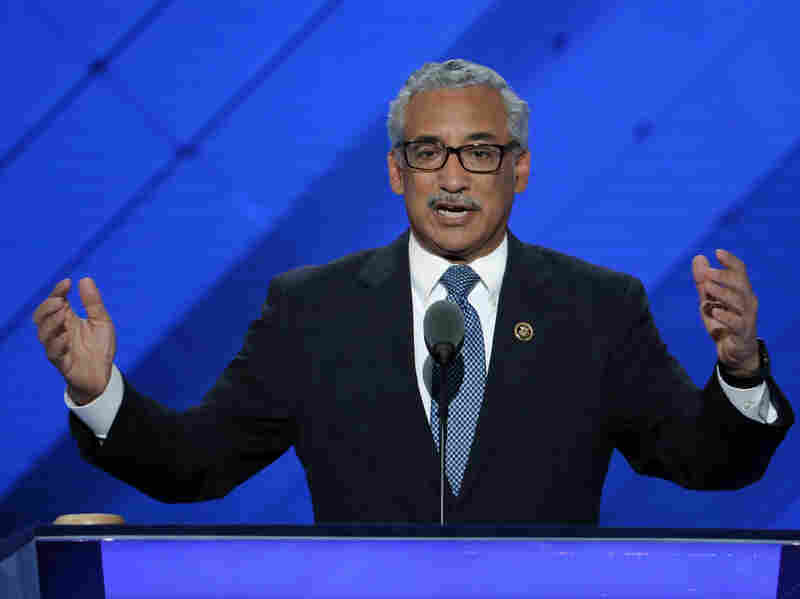 Rep. Bobby Scott, D-Va., shown in 2016, said Tuesday he will hold hearings next year in response to an NPR and Frontline probe that revealed that government regulators failed to identify and prevent dangerous conditions. The incoming chairman of the congressional committee that oversees workplace regulations said Tuesday he will hold hearings next year in response to an NPR and Frontline investigation that revealed the failure of government regulators to identify and prevent a fatal disease outbreak among coal miners. Rep. Bobby Scott, D-Va., said the investigation "reveals how coal executives, regulators, and policymakers have failed coal miners and their families." Scott is expected to become chairman of the House Committee on Education and the Workforce in the next Congress. In stories published Tuesday and broadcast on Morning Edition and All Things Considered, NPR and Frontline reported that federal regulators and the mining industry knew more than 20 years ago that toxic silica dust in coal mines was leading to severe and fatal lung disease. But no administration then or since has imposed direct and tougher regulation of silica dust in mines. "Congress has no choice but to step in and direct [the Mine Safety and Health Administration] and the mining industry to take timely action," Scott said in a statement. MSHA didn't immediately respond to requests for comment Tuesday night. Ashley Burke, spokeswoman for the National Mining Association, the industry's leading trade group, said NMA hopes new dust control regulations that took full effect in 2016 "reverses the trend examined in your report." Burke also said NMA wants mandatory black lung testing for all coal miners and more flexibility in using protective devices like special helmets. Coal miner Danny Smith, who is featured in the NPR investigation and suffers from advanced black lung disease, said he is astonished at the news of the hearings. "It's just absolutely wonderful for all of us," he said, from a holiday gathering at a pulmonary rehabilitation clinic in South Williamson, Ky. "At least they're taking notice that there is a problem," he said. "It's great. It's wonderful." Scott said he is calling the hearings "to forge legislative solutions so that we can prevent the physical, emotional, and financial toll of this completely preventable disease."